Zinzi.com - The official ZINZI webstore! Zinzi.com has a great collection on stock ready to be delivered: more than 700 items comprising bracelets, earrings, pendants for hoop earrings and pendants for necklaces. 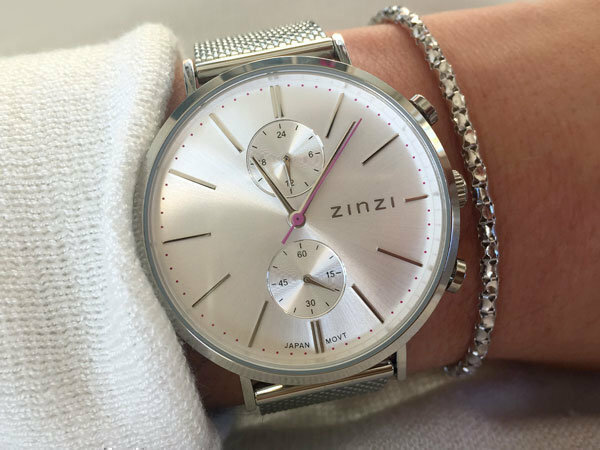 If you are looking for a sturdy silver bracelet, a beautiful bling necklace, a striking 'statement' ring or a fashionable watch, you will find them all at ZINZI. For every woman there is a suitable ZINZI jewel. No matter if you are 15 years old or 65; because at ZINZI we are all about the lifestyle of a woman, not her age. ZINZI is proud of every woman with an attitude. ZINZI wants to add delight and fun on the daily life of a woman. As a Dutch brand, we are known for our affordable and elegant silver jewellery. Quality comes first with a wide range of jewellery and watches between € 19,95 and € 99,95. The ZINZI items are divided into different categories so you can easily find your perfect jewellery, watch or accessory. You can also refine your search by component by selecting, for example, price, color, type, type of stone, material and size. Have fun finding your suitable Zinzi jewel or watch!